We are one of the leading manufacturers of Ribbon Blender for Food Industry. Our offered range of products are widely demanded due to our product quality and pricing. Our manufactured products are quality tested by our team of experts. 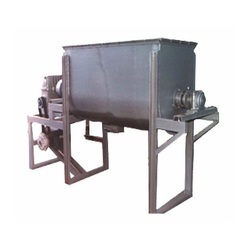 Looking for Ribbon Blender for Food Industry ?